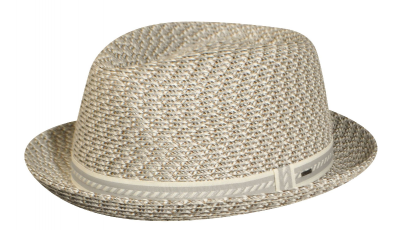 Best selling braid straw hat from Bailey of Hollywood USA for 3 years now. The colors of the weave change year to year but the low teardrop crown and 1-5/8 inch snap brim remain the same. Each Mannes has 2 to 3 colors in the braid straw weave. The straw is soft and crushable but holds the shape perfectly.